What Is Your Motto When It Comes To Wine? Ever since my trip to Napa Valley back in 2009 I started to have an appreciation for wine. I found out that with wine there are many great ones to choose from. Recently I was able to check out a few dark wines from a new company called Motto. Each one has a bold flavor to them that you will not miss when enjoying them with your friends. Their wines are a collection of distinct, dark, rich wines from California that deliver a definitively bold wine experience. The taste, aroma, and flavors were unlike any others. Motto wines try to see California winemaking from a new perspective. Yet they learned from the renowned winemaking team at Ste. Michelle Wine Estates, known for producing some of the best-selling wines from Washington State. 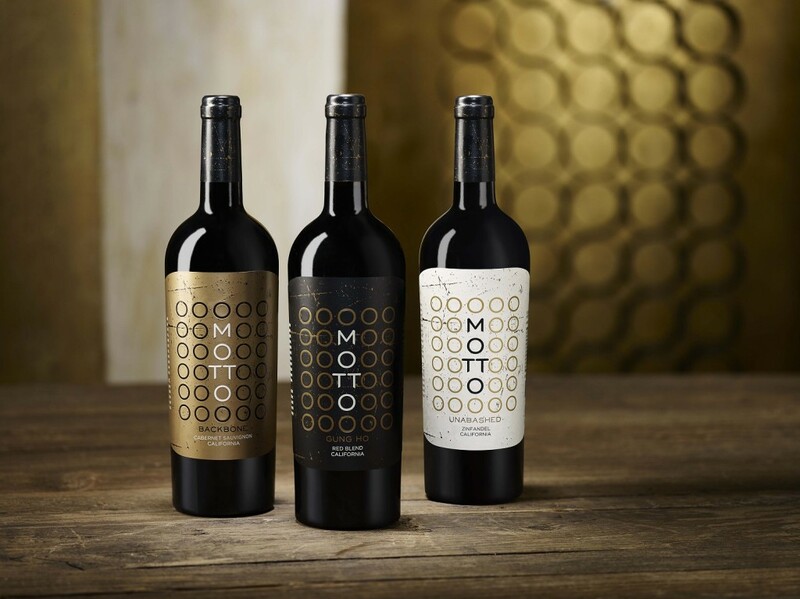 The Motto wines are available in three varietals: Cabernet Sauvignon, Zinfandel and Red Blend. “We wanted to put a Washington spin on California wines, so we implemented the same approach we use for our Washington wines, but with California grapes,” said Motto winemaker Reid Klei, who has worked in the Washington winemaking industry for Ste. Michelle Wines Estates for 10 years. Here is the list of the three wines and what you can expect from each one. Motto wines looks to set themselves apart from by keeping wine lots separate throughout fermentation and aging. They determine the final blends right before bottling, once the wines have evolved to reveal all their true character and complexities. The practice of fermenting at a higher temperature of 85 degrees Fahrenheit, for a shorter period of time of 6-7 days on skins. At this point the wine is moved off of the skins and the juice finishes fermenting without any skins present, therefore not extracting anything else. This helps the wines stay more balanced and lends a more elegant flavor profile. Oxygen is added at various points during fermentation to help create the fresh aromas and dark, rich color of Motto wines. Print article This entry was posted by Art Eddy III on July 13, 2015 at 8:23 am, and is filed under Lifestyle. Follow any responses to this post through RSS 2.0. Both comments and pings are currently closed.